NFSB Continuing Education » A better tomorrow, by the actions of today! 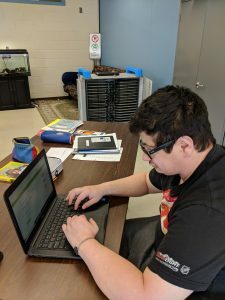 Option class students at HAECC are doing assignments, sharing resources, collaborating, participating in discussions, receiving feedback, organizing assignments and managing their time/agenda. Regular work you would think? No, not at all! Our Option Class students are going paperless! 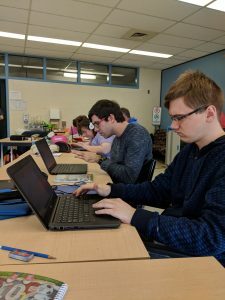 The recent purchase of brand new laptops at HAECC has given them a chance to work with their own personal/student laptops and work toward a greener approach while enhancing and facilitating their learning experience through technology.